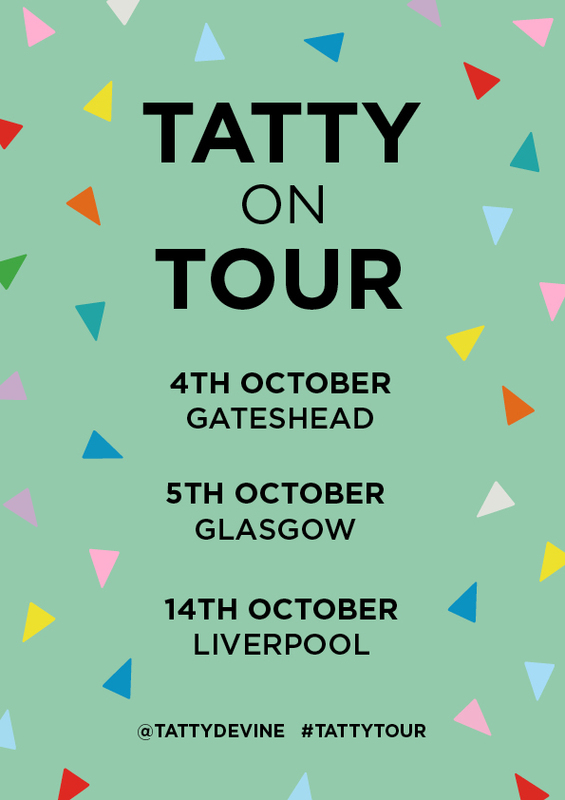 Tatty Tour | We're Coming To Get You! There are less than two weeks until we hit the road on our #TattyTour! We can't wait to get creative in some of our favourite places, show you how to make your own jewellery and share the story of Tatty Devine. We’re returning to BALTIC Centre for Contemporary Art for a colourful Tatty Takeover! Tickets for our Parakeet and Bunting Necklace workshops sold out fast, so instead join us for An Afternoon with Tatty Devine as Rosie and Harriet talk about their friendship, values and their journey over the last 16 years - there will even be time to ask any of those burning questions you have! Next up Rosie and Harriet will be meeting students from Glasgow School of Art to give them advice on setting up a jewellery business, before heading over to Cass Art Glasgow to host three jewellery making taster workshops. There are a few tickets left, but you'll need to be quick! We'll be ending the tour at one of our favourite museums, Tate Liverpool, to host a colourful Bunting workshop and talk. Rosie and Harriet will also be hosting a mentoring session, talk and taster jewellery making workshop for local students. Will you be seeing you on Tour? Let us know on Twitter!